Interviewing Skills for Managers provides a simple and systematic approach to planning, preparing and conducting productive and successful interviews. The first part of this book deals with the general aspects of interviewing such as asking the right questions in the right manner, using the correct body language and listening well. 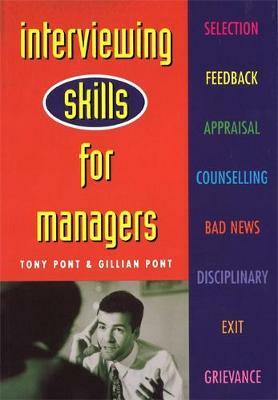 The authors then focus on the main types of interview that a manager is likely to come across, including selection, appraisal and counselling interviews, grievance and disciplinary interviews, giving bad news and exit interviews. Full of questionnaires, sample questions and scenarios, tips, practical advice and useful psychological background information, Interviewing Skills for Managers provides a simple and systematic approach to planning, preparing and conducting productive and successful interviews.